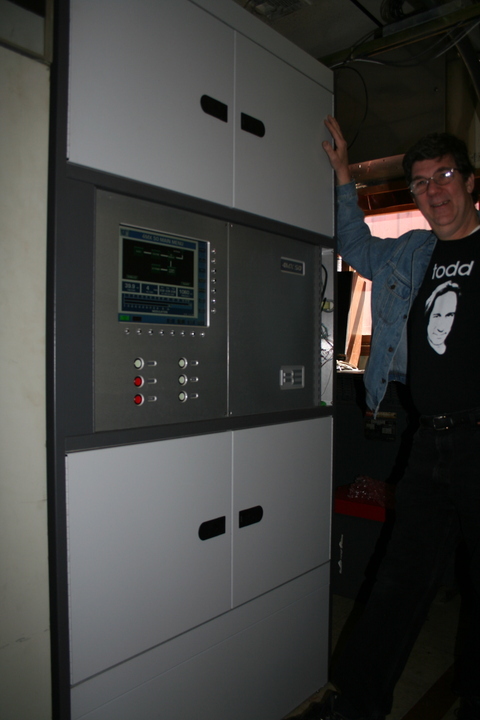 WBIX was the first customer of BE's new 4MX50 solid-state transmitter; this unit is actually a prototype. Grady liked it so much, BE brought him in to talk to potential customers on the 2006 NAB convention show floor. Last time I visited the former WKOX garage/workshop, where WBIX's day transmitter is actually located, it was stiflingly hot with the waste heat from WBIX's old Gates MW-50. This time it was quite comfortable, thanks to the much greater efficiency of the new solid-state rig.